Devon Removals know that your valuables can be important to you for any number of reasons, and that they come in all kinds of shapes and sizes. With that in mind, we'd like to offer you a range of long and short-term storage solutions that's as wide as the things you value the most. For short-term storage, there's our highly secure space in Plymouth, where you can rest assured that your possessions will be well-looked after. Alternatively, for longer term storage, you can always rent one of our flexible, dependable shipping containers. With a 10 X 20 foot space, there's plenty of room for all the things that matter most to you. 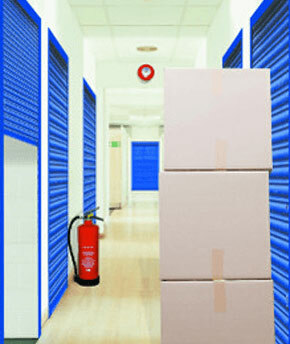 Our 36 years experience in moving and storage mean that we've built up a great range of trustworthy contacts. So, if we can't find the storage solution to suit you, we'll be only too happy to recommend someone else.